Phenol is an aromatic organic compound with the molecular formula C6H5OH. It is a white crystalline solid that is volatile. The molecule consists of a phenyl group (-C6H5) bonded to a hydroxyl group (-OH). It is mildly acidic, but requires careful handling due to its propensity to cause chemical burns. It is an important industrial commodity as a precursor to many materials and useful compounds. Its major uses involve its conversion to plastics or related materials. Phenol and its chemical derivatives are key for building polycarbonates, epoxies, Bakelite, nylon, detergents, herbicides such as phenoxy herbicides, and numerous pharmaceutical drugs. 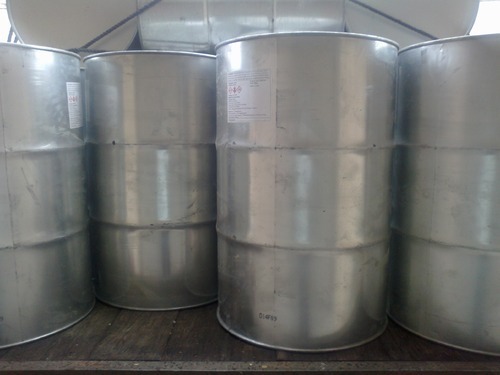 Solubility Soluble in alcohol, chloroform, ether, glycerol, carbon disulphide, petrolactum, volatile and fixed oils, aqueous alkali hydroxides. "This particular price varies on daily basis. Please call and check for the latest price"
We, Antares Chem Pvt. Ltd., established our operations in the year 2011, as one of the celebrated exporters, suppliers, distributors, wholesalers, traders, retailers and importers of a gigantic assortment of Pharmaceutical and Lab Chemical. Our product compilation comprises of Industrial Chemicals, Pharmaceutical Chemicals and Pharma Chemicals that are processed, under hygienic conditions, at the location of our reliable & dependable vendors. Our vendors are extremely concerned with the quality proffered and to make sure of the same, optimum quality ingredients are used for the preparation process. the coming years, we wish to expand our presence and list of clients.